There was a post of "10 things only Golden Retriever owners understand" on Facebook the other day. Today, we are going to show you that in our version. Let's begin! 1. 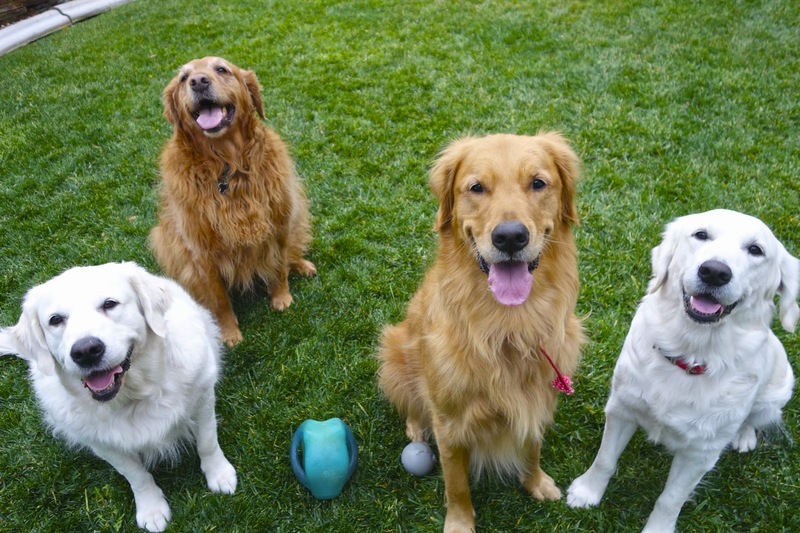 Goldens train you quickly that they deserve a lot of attention. Ehime: "You can pet me while you are talking. He he♪"
2. They are patient with puppies and kids, and always willing to play. Puppy Ehime: "Your tail is attractive, brother Kona." 3. You thought that couch was a place for you to sit? This must be your first Golden. Kona: "Let's take a nap on our couch♪"
4. 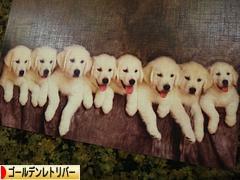 Goldens love adventure. 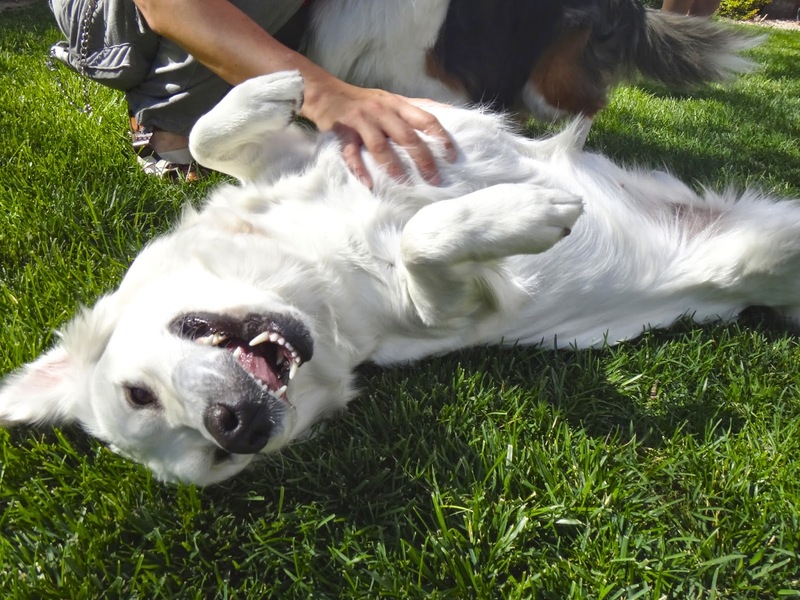 They are great hunters and also love participating in sports like obedience, AKC Rally, and agility. Kona: "I want to join the swimming class that is taught by ducks." 5. Goldens make the cutest puppies. 6. Goldens will eat anything. - and it doesn't necessarily have to be food. Paper towels, napkins, crayons, toys... All delicious in the brown eyes of these guys. Puppy Ehime: "Autumn leaves are dehydrated vegetables♪"
7. But even though they're living vacuums, they can easily be taught to restrain themselves. Ehime: "When are we eating this?" 8. 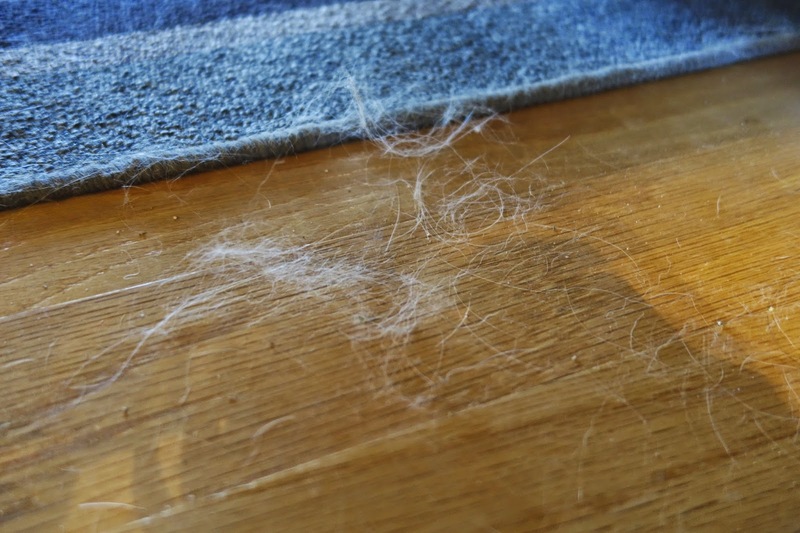 Tumbleweeds of fur rolling through your kitchen. A layer of blond (and white!) hair accessorizing your clothes and furniture. 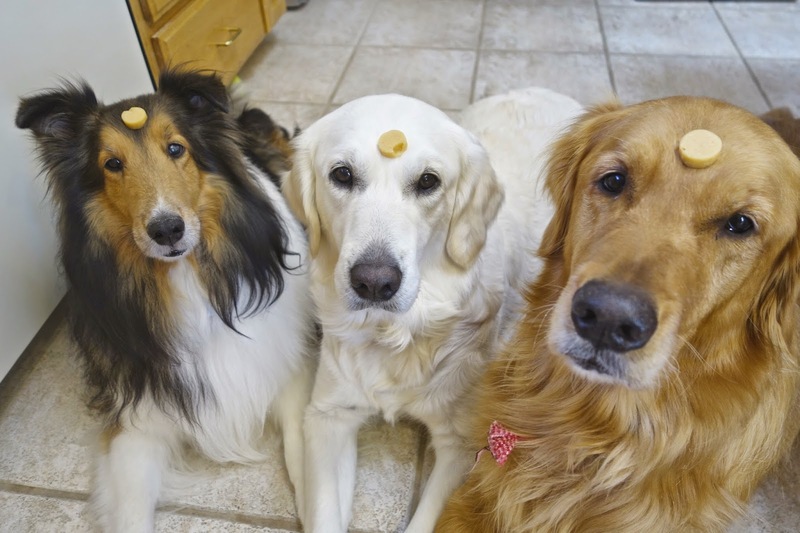 If you own a Golden, this is your reality. Mommy: "Ehime, you dropped your hair." Ehime: "I gave you a free accessory♪"
9. 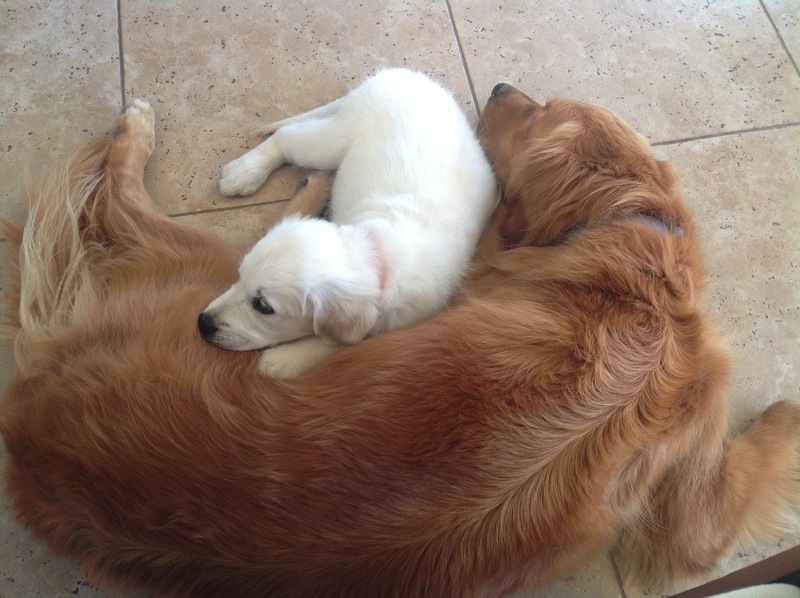 Goldens make the best pillows. Good thing they love to cuddle. Puppy Ehime: "I found a good pillow♪"
Baby Haru-kun: "I found a good pillow, too♪"
10. You could be gone 20 minutes or the whole day. Either way, you know you are coming home to Golden smiles. For Ehime who wants to say "I eat receipts, but not crayons. ", please click the puppy photo on the right above or a dog picture below. Thank you!